Patent Issued for OHSU Stem Cell Cloning | "Latest Stem Cells News"
The procedure, developed by Shoukhrat Mitalipov, Ph.D. at OHSU’s Oregon National Primate Research Center, accelerated efforts to generate stem cell therapies for humans. The method involves transplanting the nucleus of the cell, which contains an individual’s DNA, to an egg cell that has had its genetic material removed. 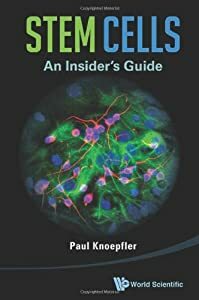 This cell then develops into stem cells, which are undifferentiated cells that can transform into various other cell types – the building blocks of an organism. For various reasons and despite numerous attempts, previous efforts by others to clone stem cells in primates had failed repeatedly. When the breakthrough was announced in November 2007, it received worldwide media attention and was named one of TIME Magazine’s top two research achievements of the year. Many also hailed the procedure because it avoided the need for embryonic stem cells. The use of embryonic stem calls has been the subject of debate for many years. 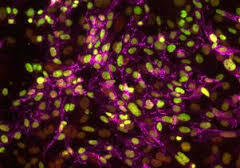 Since that time, Mitalipov and colleagues have greatly improved their success rates — so much so that a much smaller group of cells (a dozen vs. hundreds) now is required to generate new stem cells.